I’m pretty sure he’s wandered into someone else’s campsite by now, but he was here less than a stone’s throw from my tent a few minutes ago. We saw him earlier, too, as he shuffled across the way to a neighbor’s tent and sized up the vicinity for leftovers. I get it about love thy neighbor, but I seriously hope I don’t have to love thy skunk. Robin and I made it to Baie-des-Chaleurs, the place that for me was a close second to Gaspe/Perce as the whole reason for this trip. The bay is every bit as beautiful as the travel literature suggests. It should be on everyone’s must-see list because once you’ve been here, just about any other coastal location that comes to mind will seem pretty ho-hum. We lucked out with today’s stop. At the Pointe Taylor campground, we have the tent site closest to the bay (literally a few steps from our tents). We’ve walked out there a couple of times and stood on the shore, mesmerized. The trip here from Perce was an eye-opener. The entire drive up the Saint Lawrence river from Ville de Quebec to Gaspe is just one small village after another interspersed with extremely hilly, rocky terrain, and at the center of every village stands a tall, beautifully kept and obviously loved Catholic church. I would have to say some of the most beautiful churches I’ve ever laid eyes on are in those villages (well, almost – there’s really nothing like Riverside Church, but then again, there’s nothing like New York – another blog for another time). Once you leave Perce heading west on Route 132 toward this bay and the Province of New Brunswick, you’ve crossed into yet another world. 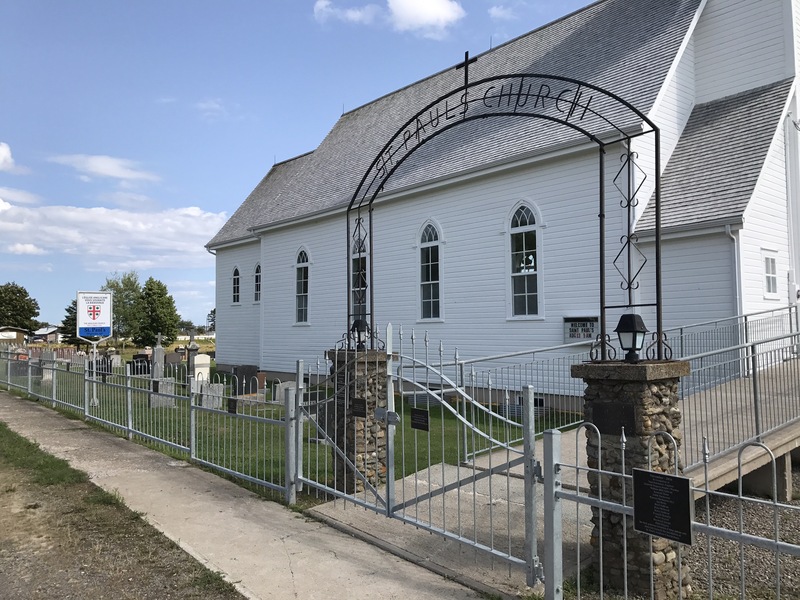 There are still lots of Catholic churches, but the closer we got to New Brunswick the more we saw Anglican churches in every village and an occasional Presbyterian church, too. This is also a much wealthier area. The homes are larger and more expensive, the retail mix is more suburban, and there are far fewer campgrounds (the land is much more valuable). I knew I was in a cultural no-man’s-land when Robin and I stopped for lunch at a little restaurant along the way – 45 minutes or so from here – and my order of poutine came with crinkle-cut french fries. No Canuck in his right mind would ever make poutine with crinkle-cut fries! A sacrilege! Worse still, when Robin asked the restaurant owner about the history of this area, the woman said she didn’t know anything except a bunch of Irish people had settled here at some point. Well, yeh, a bunch of Irish people settled in Boston at some point, too . . .
We have a 5.5-hour trip ahead of us tomorrow to Riviere-du-Loup. Much more to see, and so little time left to see it all.